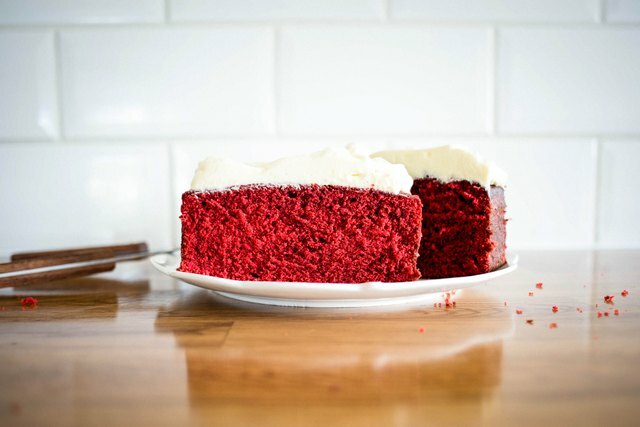 A red velvet cake is so much more than a basic white, butter or chocolate cake tinted red -- it is a masterpiece of flavor, texture and science. 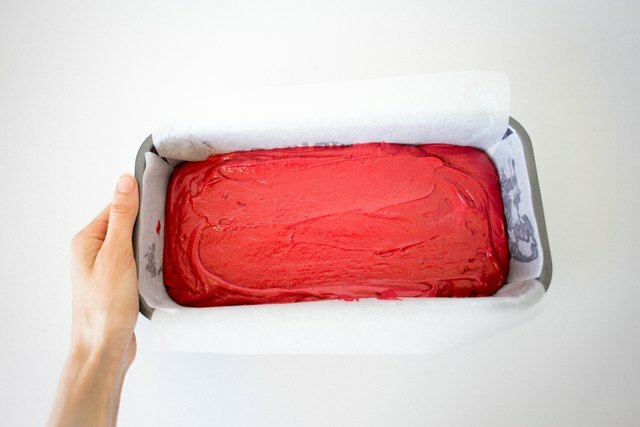 Here, the distinct crimson color is achieved by the addition of red food coloring to a pound cake batter that is also subtly flavored by dark cocoa powder and tangy buttermilk. 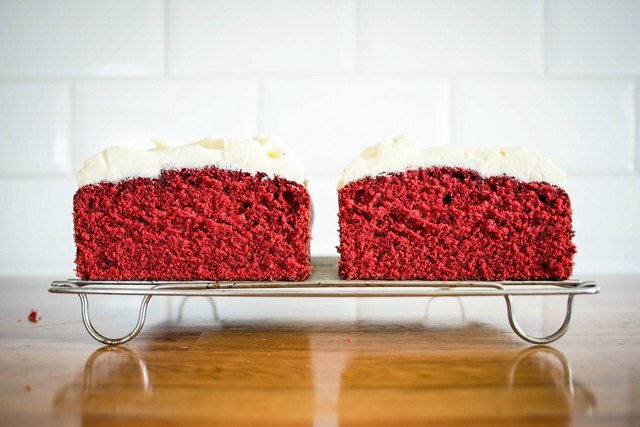 A strikingly thick coat of fluffy cream cheese frosting is then spread sky high across the top of the cake. 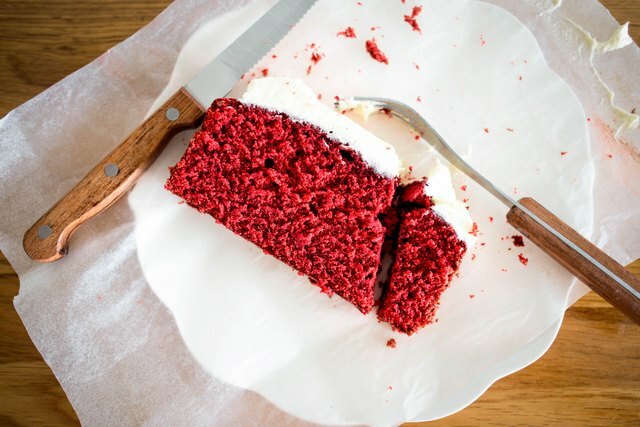 True to its name, a slice is pure velvet -- rich in taste and moist in texture… and by following these easy steps, you, too, can master the iconic red velvet cake. Heat the oven to 350 F / 170 C / Gas mark 4. 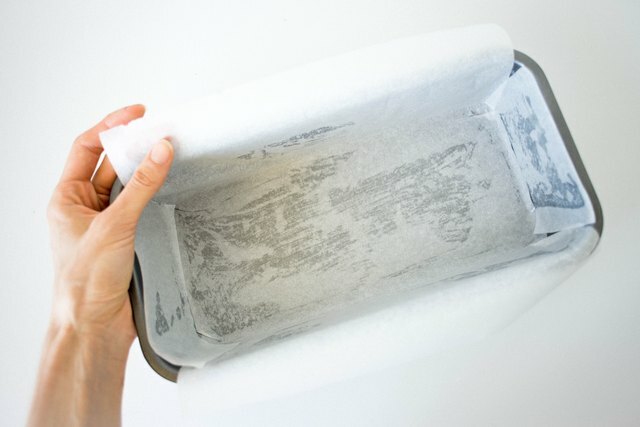 Grease and line an 11-inch / 28-centimeter loaf pan with parchment paper. 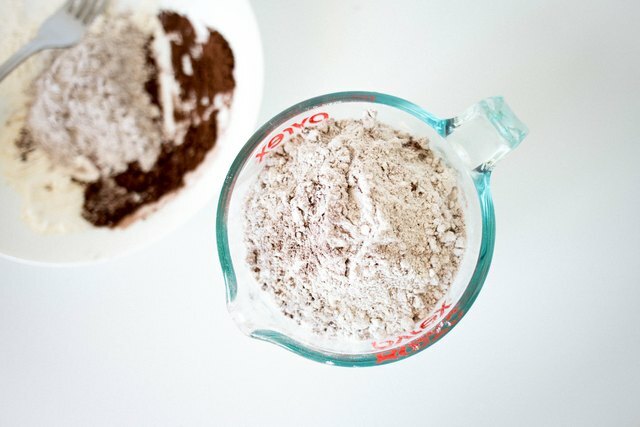 In a small bowl, fluff together the flour, cocoa powder and salt to combine. Set this mixture aside. Don't just stir your dry ingredients, make sure they are thoroughly whisked and fluffed with a fork to remove any lumps. 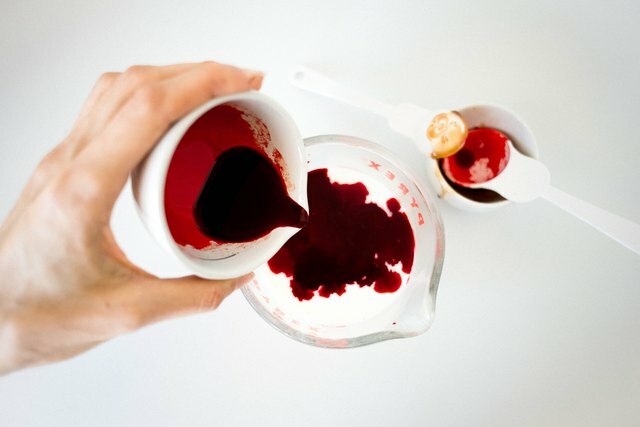 In a measuring cup, whisk together the buttermilk, vanilla extract and red food coloring. Set this mixture aside. 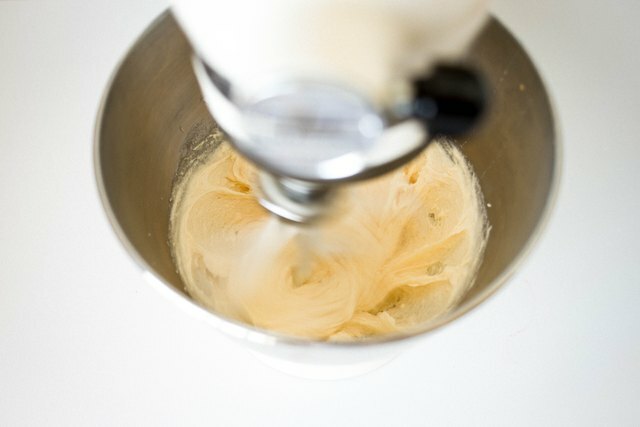 In the bowl of a stand mixer fitted with a beater attachment, or with electric hand-held beaters, cream the butter and sugar on medium-high speed until fluffy, 5 minutes. Lower the mixer speed to medium, and add the eggs one at a time, beating well after each addition. Take time to thoroughly cream your butter and sugar. This is the most important step for a perfect pound cake. The mixture should be fluffy in texture and almost white in color. 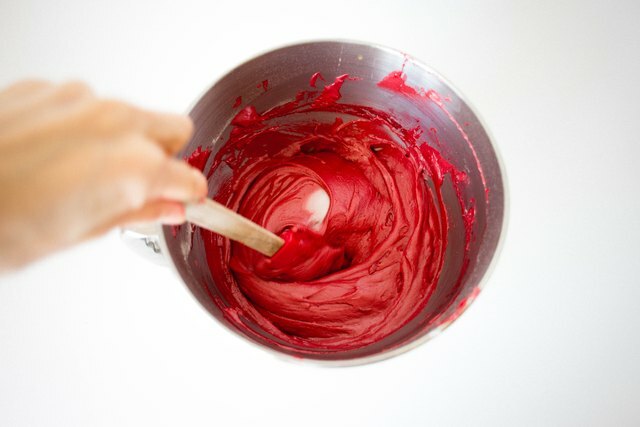 Incorporate the dry and liquid ingredients to the creamed butter mixture in alternating additions, making sure to finish with dry ingredients last. Beat until just combined. In a small bowl, combine the vinegar and baking soda (it will bubble up). Gently fold this mixture into the batter, incorporating well. Pour the batter into the loaf pan, and smooth the top with a spatula. Bake until the pound cake springs back when lightly touched -- roughly 35 to 45 minutes or until a skewer inserted into the middle comes out clean. Let the pound cake cool in its pan for 10 minutes before turning out onto a wire rack to cool completely. A cracked and domed pound cake top is an indication of a good job done in the creaming process -- the air pockets were worked so hard to cause the pound cake to expand. While the pound cake is cooling, make the cream cheese frosting by beating together the cream cheese and butter on medium-high speed until light and fluffy. Add the lemon juice and vanilla extract, followed by the sifted powdered sugar. 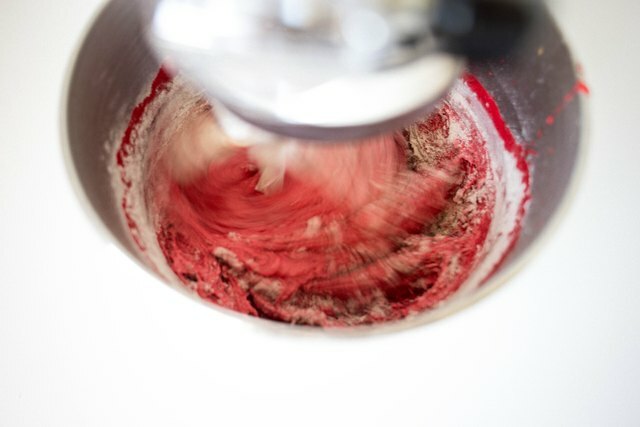 Once you have incorporated all of the sugar, increase the mixer speed to high and continue to beat for a couple more minutes until thick, fluffy and light in color. Once the cake has cooled, generously frost the top with a thick layer of cream cheese frosting. At this point, you can chill the cake for 30 minutes to set the top and firm the butter solids, making it easier to slice before serving. A good pound cake will be light, with a fine texture, moist and even crumb.